Have you ever taken a close look at the leaves on your succulents? They can tell you a lot about themselves. 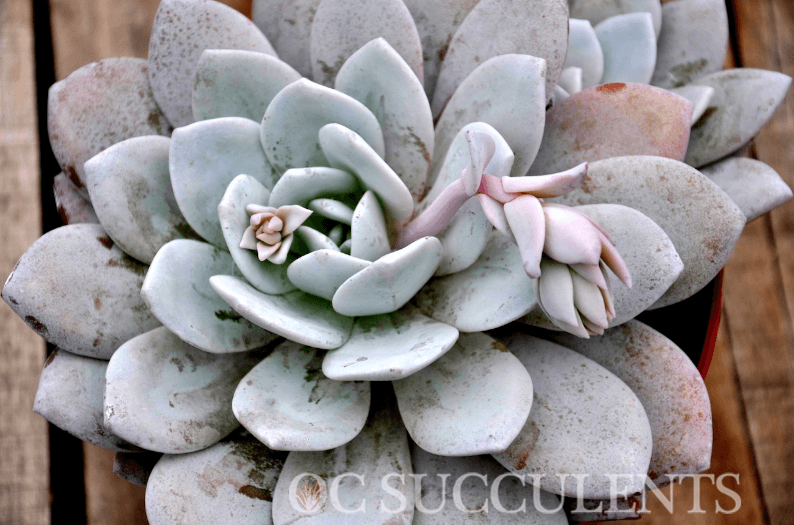 While all succulents tend to have a more “plump” appearance, some do more than others. A good, general, guideline with succulents is to water them based on the size of their leaves. The more succulent, the less water. Simply saying all succulents don’t need much water, or treating all of your succulents the same, won’t maximize your results. It’s true that all succulents fall under the drought tolerant umbrella, but what a big umbrella it is. Agave, aeonium, echeveria, senecio, all have different needs. Next time you’re about to do some watering, take a second look at your individual succulents needs.